New Talk, Tired Thanatoid Album Out March 9th! Announcing our first release of the year!! 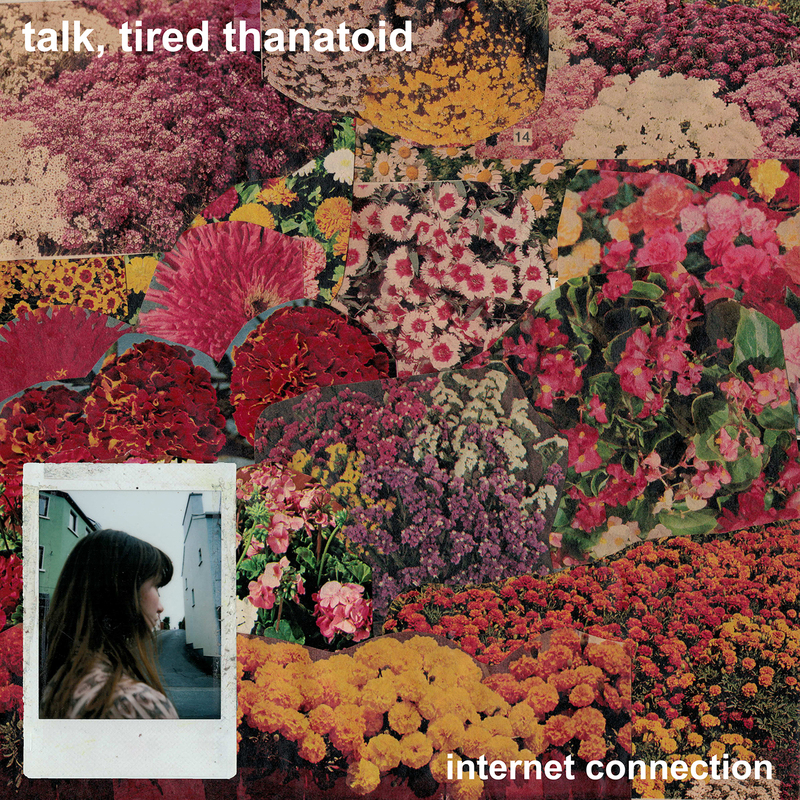 Talk, Tired Thanatoid have finally completed their long awaited second album, "Internet Connection" and it comes out on March 9th! Collaborating between Northern California and Southern California, this DIY duo of Zackary Kiebach and Arden Klawitter began this album with a pair of songs on a split two years ago ("Everything's Cool" and "Everything's Alright"). After Zack graduated and moved back to Southern California, they came together to compile new songs and finish their long awaited second album: Internet Connection. After a long summer full of touring, demo-ing and the loss of a close friend, the album was slowly born. Adding new layers to their sound, the band has taken their math-rock guitar riffs and infused them with the playfulness of indie pop. Their thoughtful lyrics show maturation as the band members move on to the world after college. Guitarist and songwriter Zackary Kiebach writes with tenderness and a sensitivity for the fragility of life and relationships. Arden Klawitter contributes drums and other instruments, including the bass composition that closes out the first half of the record. "There Will Never Be Another You" captures mourning and loss- it is a fitting tribute to their deceased friend and collaborator Adam. The duo re-recorded the songs from the split, and the pair of songs show the growth of their songwriting and orchestration. Layers of omnichord, keyboards, and bass fill out their recordings- woven into their minimalist set up of guitars and drums. While Zack takes most of the lead vocals and writes the riffs, Arden compliments them with multi-tracked harmonies and intricate rhythms on the drums. They have the energy of twee punks like Quarterbacks but also bring to the table the technical proficiency of math rock and emo bands like American Football and Tiny Moving Parts. They fit in right alongside the current wave of underground bands who combine idiosyncratic songwriting, personalized lyrics, and reference-filled imagery with catchy melodies and emotional catharsis. Hero Across The Sky "Cartoon Heroes EP" Out Now!! Head over to the cassette's section and pick up a copy of the new Hero Across The Sky EP! The new EP from mellow math rock three piece, Hero Across The Sky is 6 tracks of lo-fi instrumental goodness with funky time signatures, shifting riffs and intimate charm. 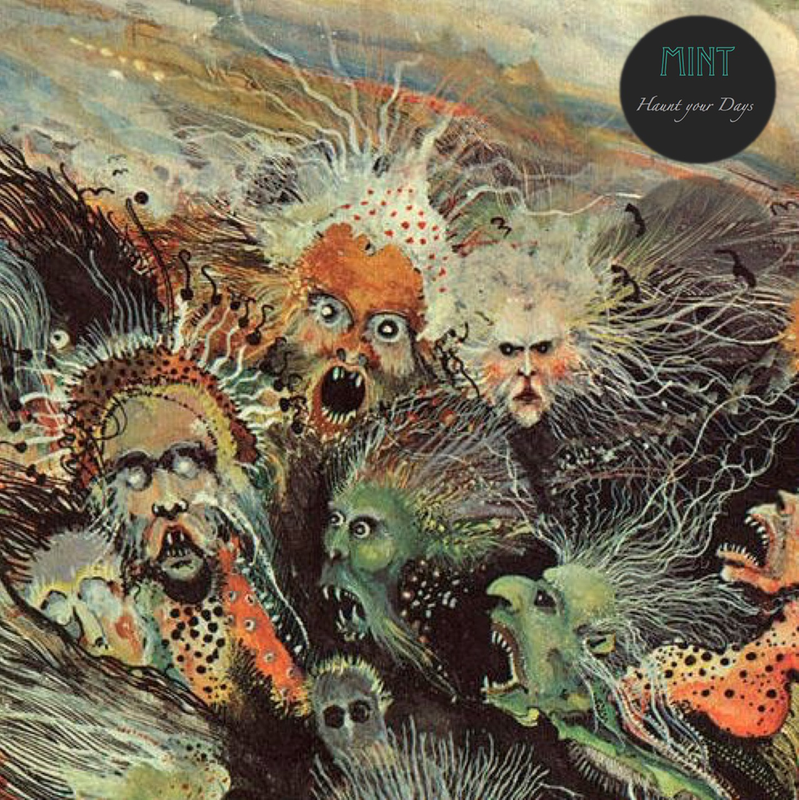 Mint "Haunt Your Days" Cassingle Out Now! Mint's new cassingle is available in the store! You can read about it over at Corduroy Soul, here's some of what they had to say..
"Their single, entitled, ‘Carmen Cortez’, marks the band’s newest work since Vintage Bad Stuff released back in 2015. Their new track conjures up feelings of dreamlike drives up PCH, at sunset, and is, without a doubt, worth checking out!" Pick up the new tape for only $5! It's limited to 25 copies and we only got about half of them left! Buy it now!